Like a delicious meal which cannot continue forever or a sparkling party, the KUAR program “Arkansas Cooks” airs its final episode today. Tune in at 12 noon for this fond farewell. Host Mary Twedt began the show in October 2002. Since then, she has produced more than 400 episodes as she has visited restaurants, hotels, food festivals, streetfairs, well – just about any where that good cooks are doing exciting things with food. With her engaging style, she has enjoyed conversations with the well-trained and the self-taught. She doesn’t interview her guests, she visits with them and invites the listeners to eavesdrop. A cooking show on the radio? That is not an easy thing to imagine. And she will be the first to say she was inspired by a radio program she heard in another state. It took her some time to convince KUAR to buy-in to the project. But they eventually were won over – as was her audience. She ends the radio show the way she started it, by chatting with Evette Brady. 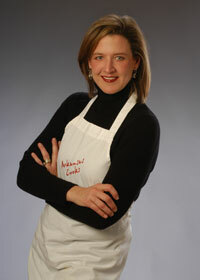 In 2002, she was the owner and original chef at 1620. Now, she is retired, but still has an engaging personality and her finger on the pulse of the cooking scene. While “Arkansas Cooks” may be ending as a radio show, Twedt will still continue to tweet (a Twedt tweet?) @arkansascooks, be on Facebook, and update the website.